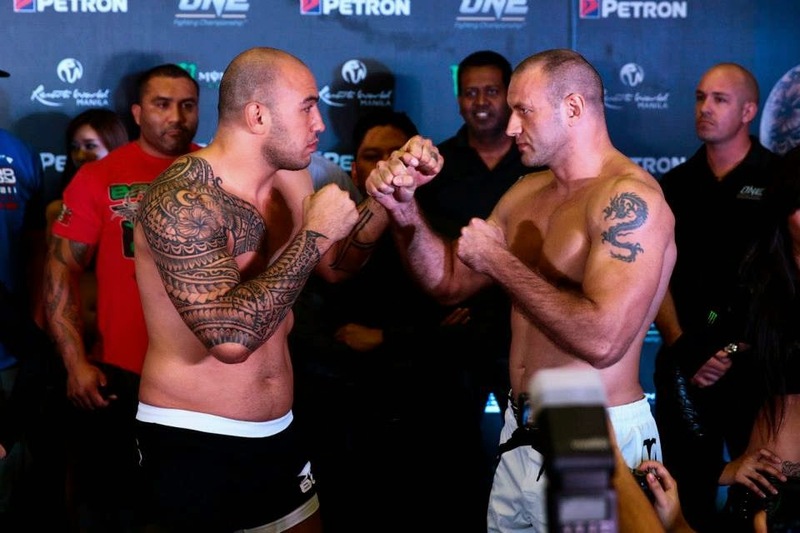 At Mall of Asia Arena, Pasay City the weigh-in for the ONE FC 23 Warrior's Way happened around 4PM in the afternoon December 4, 2014. Before the much awaited fight, let see first what are the results of their weigh-in. Let's watch the fights tomorrow at the Mall of Asia Arena Pasay City, Philippines. The event that we are waiting for. Lets watch how Filipino's rock. Mall of Asia Arena opens 5:30PM and fight starts at 7PM on December 5, 2014.